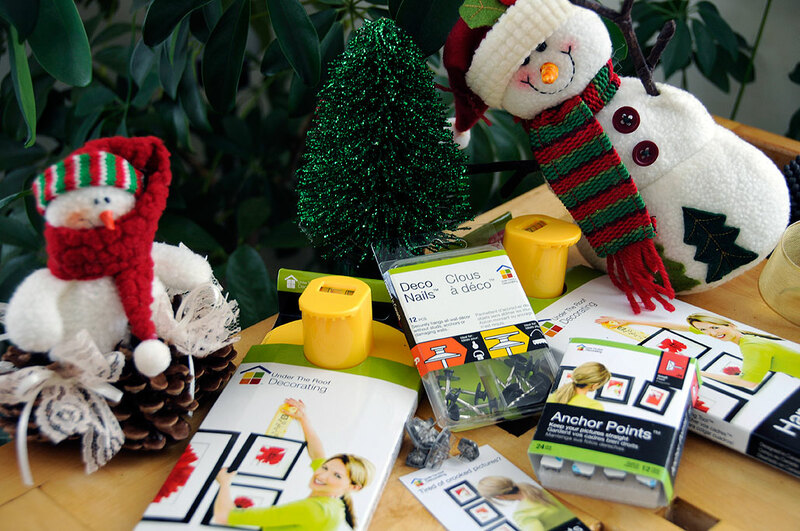 Have a DIY-er to shop for on your Holiday list this year? We have looked at a lot of cool DIY-related things (CNC machine, kinetic sculpture plans, etc…) this year, and all of them would make great gifts. However, we decided to think about what would be cool to put into our recently acquired Craftsman Project Center. The interns have come up with some fun recommendations for you! The top of their “fun list” is the miracle fix-it clay called Sugru. We have been going crazy with the stuff ever since we got some in house. One warning…hacking with Sugru is very addictive. Once you start, pretty much everything you have looks like it could use some Sugru. Next on the list is an item called the ShopBoss. It is a multi-purpose tool from Fiskars and available exclusively at Walmart. It is a pair of snips on steroids. The ShopBoss can cut pretty much anything, strip wires, and even open a bottle of beer when the job is done (with its built-in bottle opener). And what better to go with a beefed up pair of snips than an amped-up high-tech digital ruler? The Craftsman AccuTrac is a laser-assisted measuring tool capable of 1/8″ accuracy at 100ft. Try beating that with a retractable tape measure! 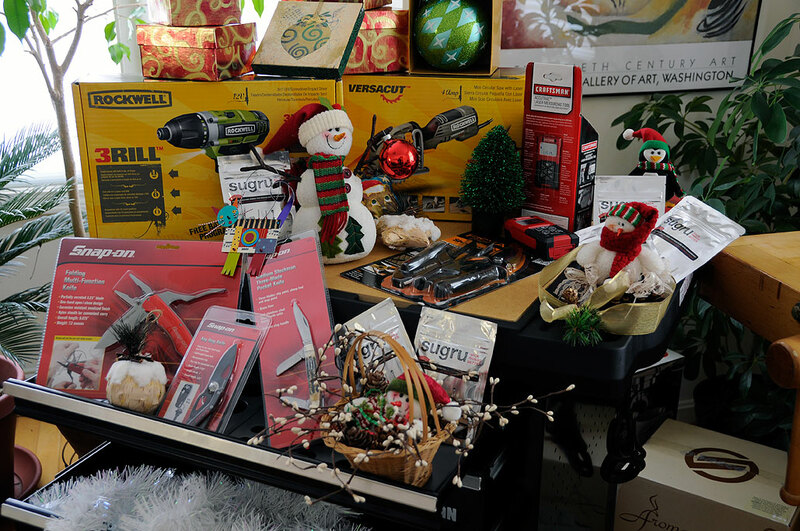 Great gifts for DIY-ers do not have to be titanium-coated or laser-enabled. A sharp pocketknife might be all you need to light their candle. It can certainly be put to good use in opening up the other presents 🙂 Snap-on has been putting out some very interesting offerings recently. The KeyRing knife is made of stainless steel, is teflon-coated, and has a one-hand design for easy open/close action. Want something bigger? The Snap-On Folding Multi-function knife has a serrated 3.25″ blade, pliers, and screwdrivers. Don’t get us wrong. 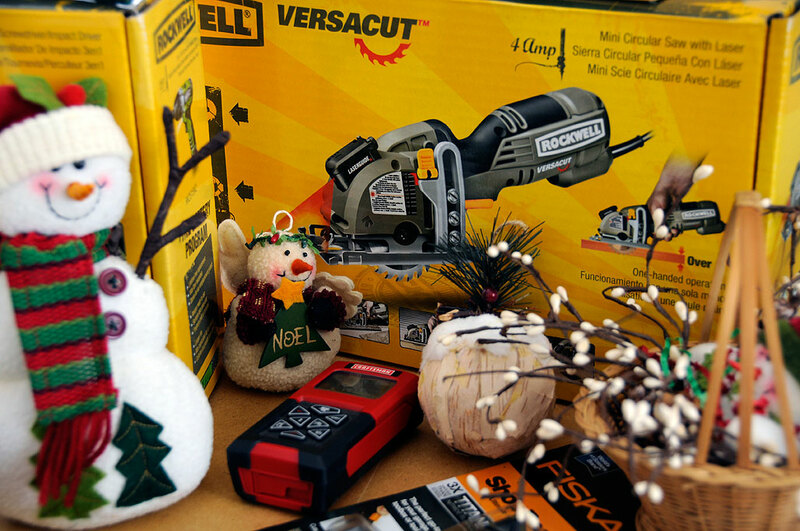 There is nothing wrong with giving laser-guided or Li-ion powered tools as Holiday presents. In fact, both the 3RILL and VersaCut from Rockwell are great gifts for the any DIY-er. Like its name implies, the 3RILL is three tools (drill, driver, impact) in one. The 3RILL is powered by a small 12v Lithium-Tech “smart chip” quick-charge (75% in 15 min, fully charged in 30 min) battery. Many home DIY projects involve hanging things on the wall. Those project sometimes are an exercise in trial & error. Frames don’t quite line up, more holes are made than necessary, and what often ends up happening is a lot more banging and a lot less hanging. Fortunately, a company called UTR Decorating have a tool to make any frame-hanging project precise and frustration-free. It is called the Hang&Level. We did the FirstLook / FirstUse reviews of it in 2010. Since then, UTR has added a few new accessories (Deco Nails, Anchor Points) to make frame-hanging projects even easier to get right. This gear is a must-have for any home decorator. The Hang&Level is available in stores, but the Deco Nails and Anchor Points are only available online. So whether the DIY-er on your list is a home-improver, interior-upgrader, or general fixer-upper, we are confident that these RainyDayProject suggestions will make for excellent gifts to anyone who receives them. Happy Holidays!! !